Smart burgundy velvet combined with a selection of herringbone and woven fabrics with a metallic thread detail. Height 28cm. Look at our great range of other doorstops and draught excluders on this site. 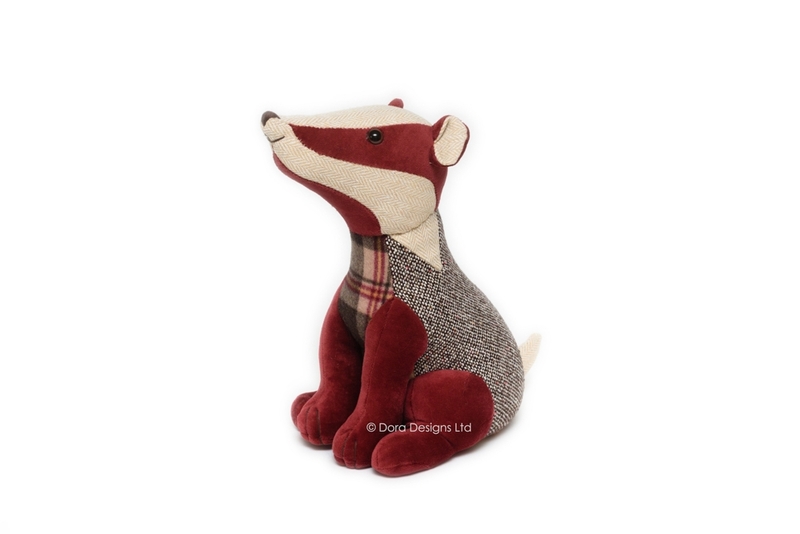 Click the button below to add the Patchwork Badger to your wish list.